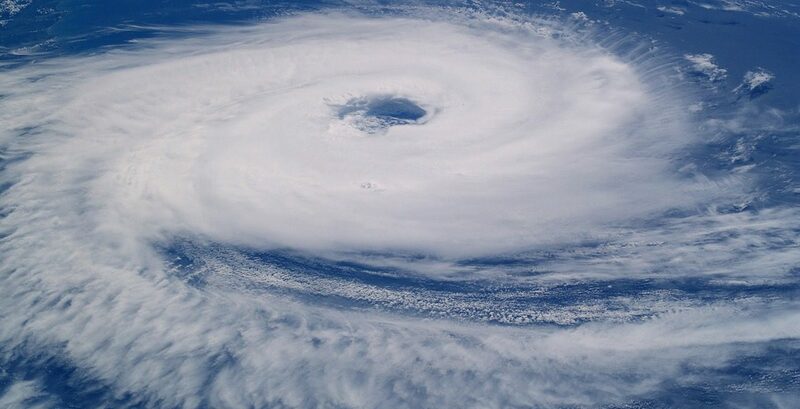 The experts at Steritech offered advice for businesses for hurricane preparation and recovery. In the event that your facility is advised to close, it is important that you, your employees and guests follow evacuation orders to protect your safety. Below are a few additional steps that may help you protect your facility and your food in the event of significant storm damage. If power outages are expected, avoid excessive opening and closing of freezers and refrigerators. Record product temperatures and time so that you can assess food safety following a power outage. If a hurricane is imminent or if your facility is evacuated, shut off the gas supply to any gas-powered equipment. Prepare for extended power outages by arranging for alternate food cooling and storage. Refrigerated storage and frozen back up are optimal but may be difficult to obtain during emergencies. Consider preordering dry ice. Clear debris from gutters, drains and downspouts to allow for proper drainage from roof. This could help prevent roof damage and flooding in your facility. Board windows or protect with tape. Closing curtains and blinds may help offer some protection against broken glass. Secure any objects, both outdoor and indoor, that could be blown away by strong winds. Outdoors, this may include seating and tables, hostess stations, umbrellas, planters, signage and other decorative items. Inside, this includes kitchen items such as knives, cutting boards, pans, etc. Ensure all exits are clear in case a sudden evacuation becomes necessary. Have all company vehicles fueled in case evacuation or relocation is necessary. In addition, consider advising employees to have enough fuel in their cars to relocate to safer areas in case of evacuation. One of the biggest dangers in a hurricane is the loss of power and how it affects food storage. Many Time/Temperature Control for Safety Foods (TCS Foods) may need to be destroyed if they go out of temperature range. Temperature abused foods can grow harmful bacteria and spoil, putting people at risk for foodborne illness. As soon as possible after losing power, create ice baths for TCS Foods – eggs, meats, seafood, milk, cheese, prepared foods, cooked vegetables. Monitor and document product temperatures. Avoid opening reach-in and walk-in cooler doors as much as possible to keep foods cold. A freezer in good condition may maintain its temperature for up to 24 hours if unopened. Discard any TCS Foods that have been above 41° F for more than 2 hours. Use a calibrated thermometer to test the temperature of foods. After a power outage, use your senses: Any food that smells off, looks off-color or has changed texture should be immediately discarded. Never taste suspect food items; if food has spoiled or been contaminated, you could make yourself sick. If power is expected to be out for an extended time, dry ice can help keep refrigeration temperatures at 41° F or below. Be cautious when using dry ice, as it can produce dangerous carbon dioxide gas in closed areas. Discard any thawed frozen items. For additional preparedness tips, click here.